Check out these collaboration stickers celebrating the launch of LINE Careers, featuring great new designs from Irasutoya! Friend the LINE Careers official account to get the set for free. 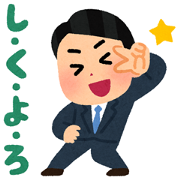 How to get GIF animation and PNG with transparent background on LINE sticker?